The four remaining MLS teams reached the conference finals in four very different ways. Take a look at what makes each of the teams vying for MLS Cup tick–and what their opponents would be wise to focus on in their upcoming battles. The four remaining teams in MLS's playoffs reached the conference finals in four very different ways. Measuring playing style by where a team begins possession and how long a team maintains possession, the quartet could not have been much more different this season. New York and Sporting Kansas City began the most possessions in the attacking third. Sporting Kansas City and Atlanta had longer possessions than any other teams. Atlanta and Portland rarely gained possession in the attacking third. Portland and (especially) New York had some of the shortest average possessions in the league. Before diving into the data of each side, let's quickly define two key terms. A sequence is a string of uninterrupted passes. A possession can include multiple sequences that are interrupted by events like fouls or corner kicks, as long as the ball is not controlled by the opposing team. The Red Bulls love to press high up the field, take the ball away and attack quickly. Though this isn’t breaking news, the numbers are still stark. New York led MLS with a combined 132 tackles and interceptions in the attacking third this season, and that aggression contributed to a league-high 373 possessions starting in the attacking third, 57 more than any other team (Sporting KC was second with 316). Once the Red Bulls won the ball, they attacked quickly and directly, advancing the ball toward their opponents’ goal at an average rate of 2.4 yards per second, over 11% faster than any other team. On sequences ending in the attacking penalty area, New York’s average sequence time of 7.7 seconds was 18% shorter than any other team. One of the keys to New York’s disruption is Tyler Adams. The indefatigable 19-year-old led all MLS midfielders in attacking-half interceptions this season, and he also ranked in the top 15 in attacking-half tackles and recoveries. 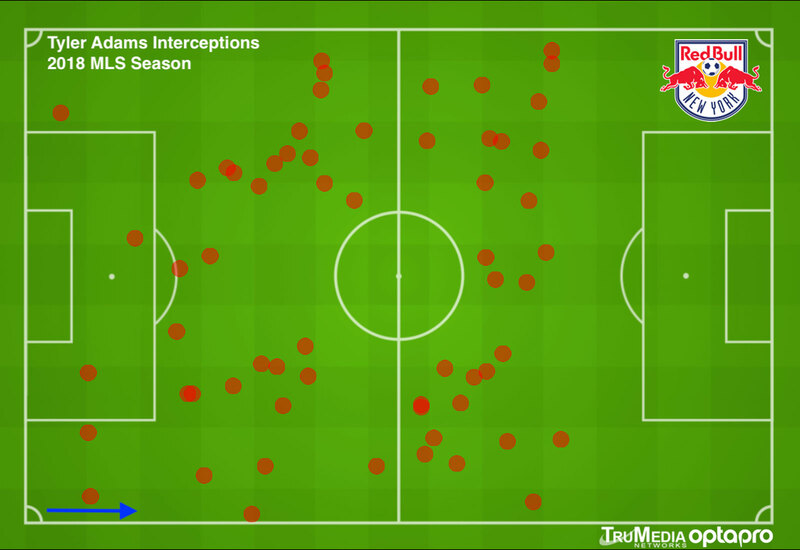 In the conference semifinals against Columbus, Adams pushed even higher up the field to harass Wil Trapp, resulting in 35% of Adams’ touches coming in the attacking third, compared to 21% during the regular season. New York’s pressure was effective, as the Crew had their two lowest single-game passing percentages of the 2018 season. Now the Red Bulls will look to do the same against an Atlanta team with MLS's most potent attack. Atlanta led MLS with 70 goals this season, despite underachieving its expected goals total by 11.4, the second-largest gap in the league behind Columbus (minus-11.8). Atlanta ranked fourth in both possession (54%) and pass percentage (83.4%), and its average possession lasted 25 seconds (most in the league) and 5.6 passes (second behind Sporting KC), indicating a deliberate attack. For an across-the-pond comparison (albeit against different competition), Atlanta’s 25 seconds per possession would slot fourth in the Premier League, between Liverpool and Arsenal. No player personifies Atlanta’s style more than Miguel Almiron, an MVP finalist for the second straight year. He averaged 58 attacking-half touches per 90 minutes, third in the league behind fellow South Americans Nicolas Lodeiro and Maxi Moralez. On a per-90-minutes basis, he ranked in the top 20 in nearly every attacking category: assists, expected assists, chances created, through balls, completed crosses, passes completed in the attacking third and one-v-ones. If the Red Bulls slow down Almiron, they will slow down Atlanta, as they’ve already proven twice this year. Two of Almiron’s three worst passing percentages this season were in losses to the Red Bulls, and he generated a total of three chances created in the two games, well below his season average of 2.4 chances created per 90 minutes. His 44 touches at Red Bull Arena on September 30 were his fewest in any of the 30 games in which he played at least 85 minutes this season. As a result, Atlanta suffered one of its most comprehensive drubbings this season, a 2-0 loss that felt much worse–especially since New York played without Adams and Bradley Wright-Phillips. Sporting Kansas City’s style is a hybrid of the two Eastern Conference finalists, combining New York’s pressing with Atlanta’s patience, and both traits are part of Sporting’s recent transformation. In 2015, Sporting had 50% possession (ninth in MLS), with an average possession lasting 18.9 seconds, second-shortest in the league behind Philadelphia. Since then, Kansas City has increased its possession to 57% this season (second behind NYCFC), raising its average possession time to 24.7 seconds, second-longest in the league behind Atlanta. 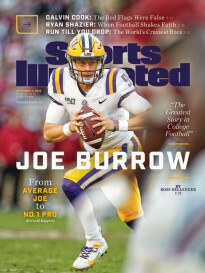 Possessions are lasting longer because Kansas City is passing the ball better and shorter, with and 84% passing percentage this season (second behind Columbus) and an average pass distance of 22.6 yards (ninth-shortest). Both are significant changes from 2015, when SKC completed 74% of passes (19th of 20 MLS teams), with an average distance of 25 yards (third-longest). At the same time, Sporting has pressed more in the attacking third, starting 316 possessions there in 2018 (second-most in MLS), compared to 213 in 2015. 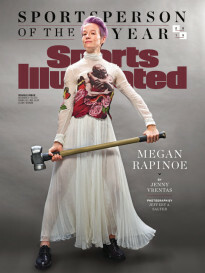 This philosophical shift has spawned a better Sporting attack. Kansas City’s shots have jumped from 12 per game in 2015 (11th in MLS) to a league-leading 17 shots per game this year, with its expected goals per game rising from 1.3 to 2.0 (second behind Atlanta). Not coincidentally, SKC’s shift has taken place alongside Graham Zusi’s move from the midfield to right back. Zusi played every minute this season, leading the league in total touches and ranking third with 89 touches per 90 minutes, trailing Lodeiro and Michael Bradley. He often gives Sporting KC a de facto fourth midfielder, with 58 percent of his touches in the attacking half, the highest rate among the 54 defenders who played 2,000 minutes this season. His high work rate helps Kansas City both press and maintain possession in the attacking half, where he ranked among the top 10 defenders in tackles, interceptions, duels and recoveries on a per-90-minutes basis. He also creates, averaging 1.3 open-play chances created per 90 minutes, which ranked second among defenders this season (behind Edgar Castillo) and was similar to attacking stars Benny Feilhaber and Alberth Elis, among others. Zusi was especially active in 3-0 win vs Portland in August, with 129 touches and 96 completed passes, both his second-most in a game this season, plus four shots and two chances created. His touch map from that game shows exactly where Portland will not want him in the conference championship. If the Timbers pin back Zusi, they’ll likely have a better chance to advance. Sporting lost three of six games this season when Zusi had fewer than 35 attacking-third touches. Defensive midfielder Diego Chara will be perhaps the most important player in breaking up Sporting’s midfield attack. He did not start the August loss in Kansas City, coming on for the final 21 minutes after Portland trailed 2-0. With Chara off the field this season, Portland has struggled, surrendering a goal every 40 minutes and getting outscored 17-5 over 675 minutes. With Chara on the field, Portland has conceded almost half as often, once every 77 minutes, while outscoring opponents 49-31. Unsurprisingly, Chara ranked in the top 15 in tackles and recoveries per 90 minutes this season, and he’s been kept busy by Portland’s defensive inclination to absorb pressure. 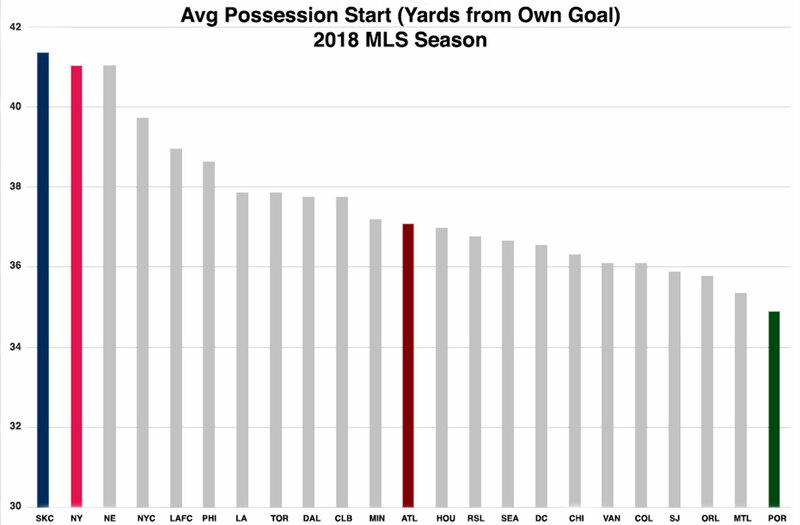 Only Montreal had more possessions start in the defensive third this season than Portland, which began its average possession 35 yards from goal, the deepest in MLS. 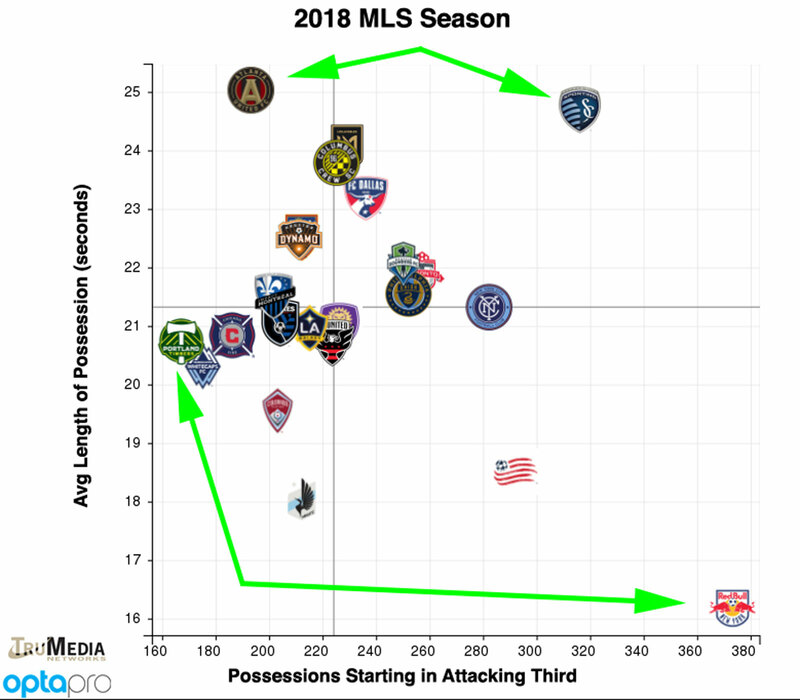 The Timbers had the fewest possessions originate in the attacking third and the third-fewest start in the middle third of the field, adding up to 47% possession, fourth-lowest in the league. Having said that, the Timbers have pushed higher up the field lately. Over their past five games (including the playoffs), they’ve averaged almost eight possessions started in the attacking third, after 4.6 per game prior to that. Whether the change is because of playoff-induced desperation or a slight change in strategy, how Chara and Portland are able to throttle Sporting Kansas City’s possession-oriented midfield will have a large impact on which team reaches MLS Cup. Paul Carr is Director of Content Development for TruMedia Networks, which collaborates with OptaPro on ProVision, a web-based soccer tool used by clubs and media for analytics, scouting and recruitment.